Kenneth W. Myllyla, age 86, of Escanaba, passed away Sunday afternoon, November 18, 2018 at his home surrounded by family. He was born on May 11, 1932 in Hubbell, MI, the son of Wesley and Lempi (Aho) Myllyla. Kenneth grew up in Baraga and was a 1950 graduate of Baraga High School. He worked on the family dairy farm as the oldest of five and helped build an addition until the age of 26. Ken’s sister, Florence, was starting college in 1958 and encouraged him to also attend. He graduated from Northern Michigan University within three and a half years in 1961 with a B.S. in Elementary Education and when on to receive a Master’s Degree in Educational Administration in 1962 also from Northern Michigan University. While working on the farm, he was the first in the family to drive school bus for Baraga. His two brothers followed suit. Kenneth was encouraged during his senior year in high school to referee for lower grades and continued to officiate various MHSAA sports including; track, cross country, football, basketball, and baseball for over 50 years. Ken met the former Rose Marlene Dittrich of Escanaba while she was teaching at Baraga High School and married her on August 15, 1959 at St. Paul’s Evangelical Lutheran Church in Hyde. Together, the couple shared nearly 60 years of marriage and raised three children. Pine Area Trailer Court was their first home until he graduated from college and was hired in Escanaba as a teaching principal at Pine Ridge Elementary School. They purchased their first and only home in Escanaba and still live at the same address to this day. He was employed for 28 years with the Escanaba Area Public Schools where he worked at Pine Ridge and Old Jefferson Elementary Schools as a teacher, and as an elementary principal for Old Jefferson, Franklin, and New Jefferson Elementary Schools. Ken was very dedicated in education and donated much of his time to promoting ways to better educate his students by the use of his gyms to children after school, school summer programs, encouraged additional reading programs, and staff to attend reading conferences. Ken enjoyed being a member of the noon Kiwanis Club for over 44 years where he served as past president, treasurer, and Lt. Governor and loved that children were first priority. He coached a Kiwanis baseball team and worked on all committees that revolved around kids. He enjoyed golfing with the fan club and hockey group, which he didn’t participate in until his 30’s, even though he lived just a few houses off of the golf course. He even earned a hole in one his first year playing. Ken continued and helped create the Senior Men’s Tour and encouraged others to follow. He was very competitive in all sports and enjoyed watching sports games on the TV. Ken discontinued refereeing when his son, Jim, began participating in sports. Ken wasn’t always a Green Bay Packers fan, but in the early 1960’s he received 4 tickets to the game. Once arriving at Lambeau Field, he met Vince Lombardi and was asked if he had season tickets, answering “no.” Lombardi asked for his phone number and told him he does now, bypassing the 70,000-person waiting list. From that point on, Ken was an avid Green Bay Packer’s fan. Ken retired in 1990 and changed his interests to working with senior citizens. He and Rose were ombudsmen in nursing homes for several years. The couple also worked with the Council on Aging and UPCAP in Escanaba. Deer hunting was a special time for the Myllyla Clan in the Copper Country. Ken’s brother, Mel, built a log cabin camp where everyone gathered and his nephew, Erik Bessonen, managed the meal planning. There would be about 35 men there on Saturday for a special meal. Ken and rose enjoyed traveling and seeing friends during their early retirement years. Ken was active in the Michigan Retired School Personnel Organization and served on the MARSP boards locally and statewide. After being inducted into the Michigan State Sports Sages, Ken served on their boards for many years and is a past president. He was inducted in the U.P. Sports Hall of Fame in honor of his over 50 years as a referee /sports official, dating back to his high school years and encompassing school districts across the Upper Peninsula of Michigan. Ken officiated between 2,000 to 3,000 events in referee career. He was a board member of the U.P Whitetails Association, goal judge for the Escanaba High School Eskymo Hockey, Eskymo and NMU Blue Line Hockey member, Eskymo Fan Club member, Escanaba Country Club member, board member of the Senior Council on Aging for Delta County, and was Escanaba Fan of the Year in 2018. Ken lived an extraordinary life who always gave back to his students and community. He loved his family dearly, as they were always his highest priority. Ken was a loving husband, father, grandfather, brother, and friend who will be deeply missed by all who knew him. Kenneth W. Myllyla is survived by his wife, Rose of Escanaba; daughter, Jane Collegnon of Escanaba; son, Jim (Shelly) Myllyla of Iron Mountain; 4 grandchildren, Cassandra Mueller, Casey (Kristina) Collegnon, Kalyn Rose Myllyla, Cole Myllyla; great-grandchildren, Brooklyn Mueller, KcKenna Lynn Mueller, and Sadie Rose Mueller; sisters, Florence (Elmer) Bessonen of Escanaba, and June Schaefer of Arnheim, MI; as well as many nieces, nephews, and cousins. In addition to his parents, Kenneth was preceded in death by his daughter, Mary Myllyla in 2013; and brothers, Melvin Myllyla, and Dennis Myllyla. 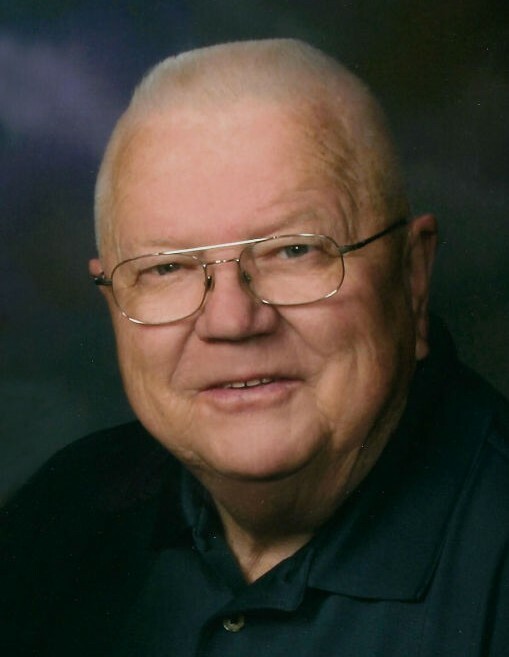 Visitation will be held from 11:30 a.m. to 2:30 p.m., Wednesday, November 21, 2013 at the Anderson Funeral Home in Escanaba. Funeral services celebrating the life of Ken will follow at 3:00 p.m., Wednesday, at Salem Evangelical Lutheran Church in Escanaba with Rev. Paul Doletzky officiating. A luncheon will be served at the conclusion of the services in the church fellowship hall. Burial will take place in Gardens of Rest Cemetery. The Myllyla family would like to express their deepest appreciation to Dr. Hunter and his heart staff of Marquette General Hospital for caring for Ken with his heart attack; Dr. Marder and Dr. Pesola for their expert care, time and concern; and Dr. William Hook of Escanaba for Ken’s primary care.